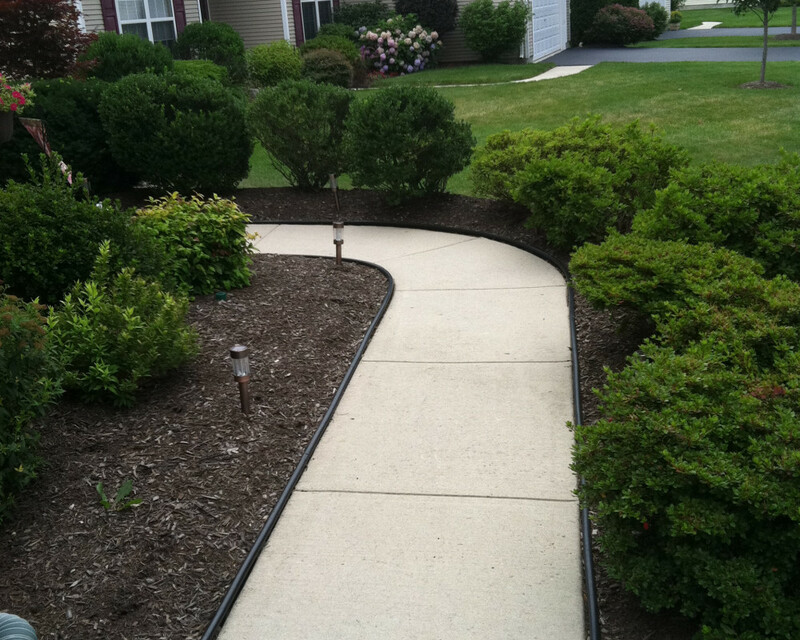 Landscaping Contractor serving the Columbus , New Jersey area. Contact us for your landscape needs! Transformed an ordinary concrete walkway into a visually stunning paver walkway with stone landscape beds accenting. 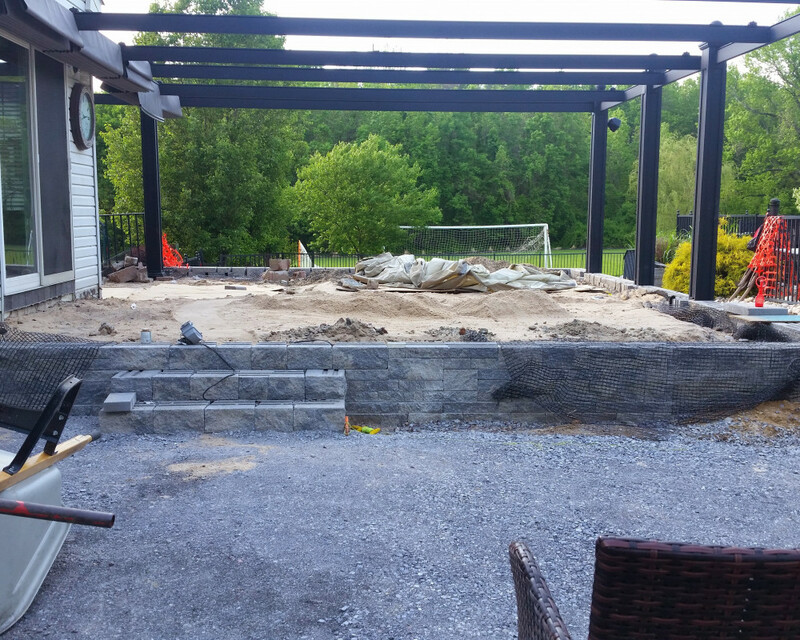 We installed a pool and elevated hot tub, surrounded by a beautiful Techo-Bloc patio. We added night lighting and landscaped the area immediately behind the hot tub. Renovated an existing paver patio. 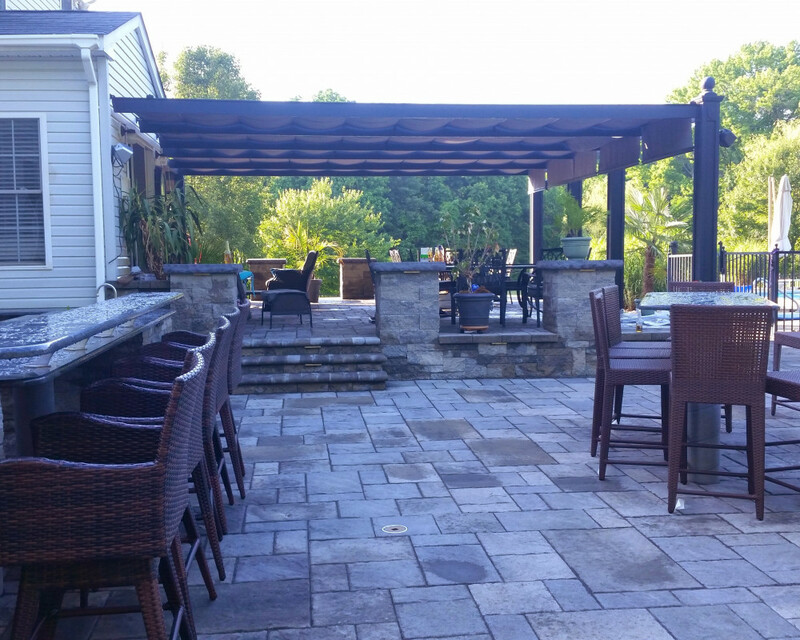 Removed all of the old pavers and excavated surrounding areas to install a new Techo-Bloc paver patio with an outdoor kitchen and seating areas.